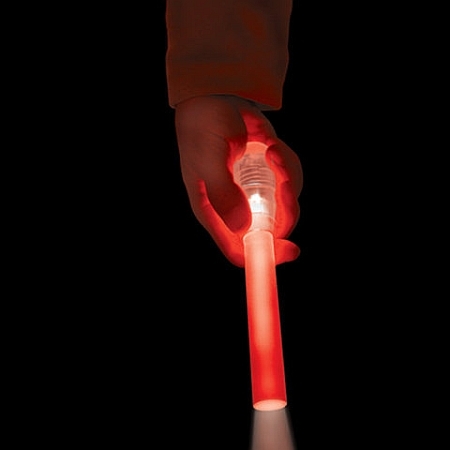 The Wand™, as noted above, has a poly-carbonate body and an acrylic light transmitting rod with a polished end. The cap seals with an O-ring, comes with a wrist lanyard, and has two storage compartments (one for two spare batteries, and the other for a Microlight™ clip) in addition to the main compartment for the Microlight™. The Wand™ floats and is submersible (depth rated) to 1,000 feet. They can be found online for around $11. I think the L.E.D. Wand™ would be a great addition to a vehicle emergency kit. What do you think? I think it’s a great product! The microlight sells for $5-8, so in reality the wand case is a rather cheap accessory. I really don’t think that it’s a suitable substitute for chemical light sticks, though. It may be shock and waterproof, but I’m not so sure that these wands could endure the same abuse that disposable chemical light sticks would. A white wand has been on my wishlist for the longest time. Maybe it’s time to give it a try. 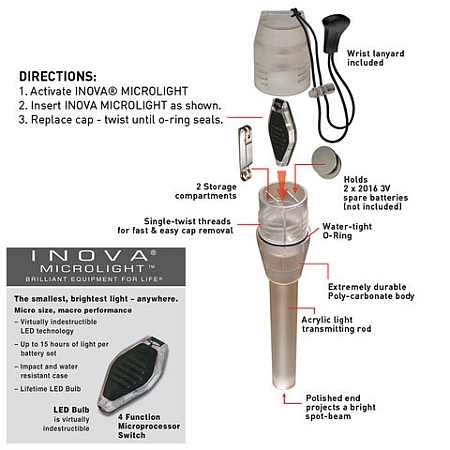 Nite Ize is an innovative company and they just bought flashlight maker Inova from what I was told. My wife got me a white wand for Xmas, and it is pretty cool. The red one is now on my wish-list. I volunteer with our fire co., and I am also the local emergency management coordinator. Hand lights are always in use, either on incident locations or just working on equipment. NiteIze has become a favorite site. Chemlights are great and all– especially as a nearly 100% reliable backup. But, if you need something like a chemlight/wand light often, chemlights get expensive and generate a lot of waste. I do a lot of night diving, and I’ve got a little led lightwand marker light that I use on my tank, with an unactivated chemlight next to it as a backup. It costs too much to burn another chemlight every time I do a night dive. Waste: I have no idea how the impact from the waste from n chemlights compares to impact from the waste of the batteries I’d run through in the same number of dives. The wand I currently use runs on AAAs, so I’ll be using rechargables when the initial set finally die.